That is the most overwhelming emotion from the story about Kevin Walters' wife Narelle raging about the Broncos allegedly stealing the slogan from Kevvie's job pitch that was allegedly borrowed from the All Blacks that might have been first used by the Team GB Olympic squad. Sadness that the relationship between the Broncos and one of their favourite sons is done and dusted. Sadness that it has all come down to this. 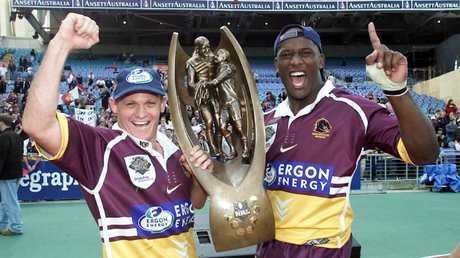 Walters was a vital part of the first five premierships at the club, captaining them to the 2000 title. He is - quite rightly - a beloved Broncos figure. A bona fide club legend. After his stellar playing career, he had three separate stints - THREE - as an assistant coach at the club that all ended badly on different levels. All with Wayne Bennett as head coach too. But Kevvie kept coming back for more, such was his love for the joint despite being jilted a number of times. And a lot of people would have loved to have seen him installed as the Broncos boss. While he has this image of being a loveable larrikin, that just masks the ultra-competitive, hard-edged, shrewd tactician that he can be. His ex-teammates know that side of him and backed him to the hilt. 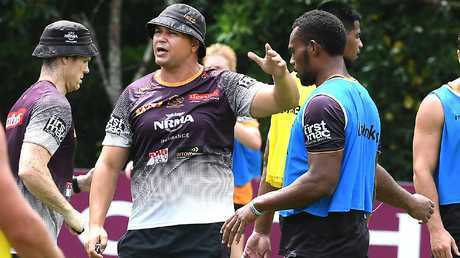 The Broncos went within a whisker of the 2015 title when Kevvie was in charge of the club's attack. He has also done a great job with the Queensland State of Origin side. The bloke can coach. No doubt. Being head coach at Red Hill is the job he has coveted so much, for so long. Maybe, he has wanted it too much. Now he - and particularly Mrs Walters - need to let go. Move on. Stay off social media. 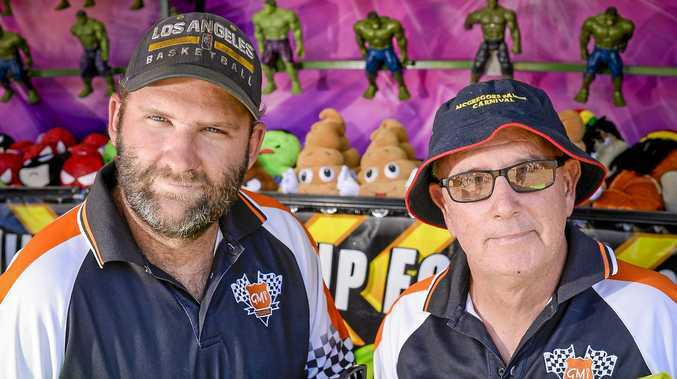 The race has been run - and won - by Anthony Seibold. The decision has been made. Accept it. The fallback position for Kevvie isn't exactly bad either - Maroons coach. The choice words on social media - that have since been deleted - from Mrs Walters may have whipped up an online frenzy with keyboard warriors agreeing with her sentiments. But here's a crazy, wacky theory. Let's just put this out there. Maybe Seibold just happened to nail the interview? Maybe the reigning NRL coach of the year knocked the socks off the panel? That is exactly what he did. He brained it. He knocked it out of the park. Smashed it to bits. Sure, they may have been some element of keeping up appearances with the interview process with the four candidates but the other three hopefuls - including Kevvie - all got a shot to impress. Even though Seibold was always favourite for the post, they all had a chance. 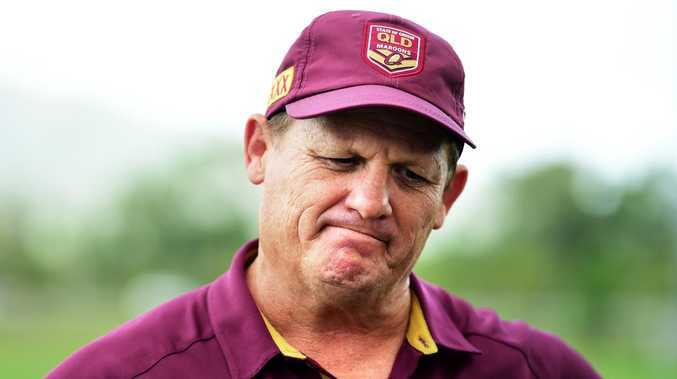 If the Broncos just appointed Seibold and didn't give other blokes an opportunity to plead their case, they would have been bagged for that too. The Broncos can't win with this one. Damned if they do. Damned if they don't. And as if the Broncos would have pinched their 2019 marketing slogan from Kevvie's proposal. That's not how big sporting businesses work. Stuff like that is done months and months in advance and is only signed off on after much consideration and communication. Maybe the Walters camp should just "get better, not bitter" (Trademark pending. It's mine. Don't use it). There are worse teams to copy than the all-conquering All Blacks. It's not like the slogan "Better Never Stops" was an earth-shattering original. To be fair, everyone borrows things from the All Blacks. The New Zealand Rugby Union team is simply world's best practice when it comes to sporting team culture with the concept of "sweeping the sheds''. It makes sense to embrace their methods because they have been proven - time and time again - to work. But to paraphrase (add a comma) to a famous Crowded House song, "don't dream, it's over''. The bottom line is that Kevvie is never going to coach the Broncos. Just like the Wallabies will never wrestle back the Bledisloe Cup from the All Blacks. But we can nick their slogans though.